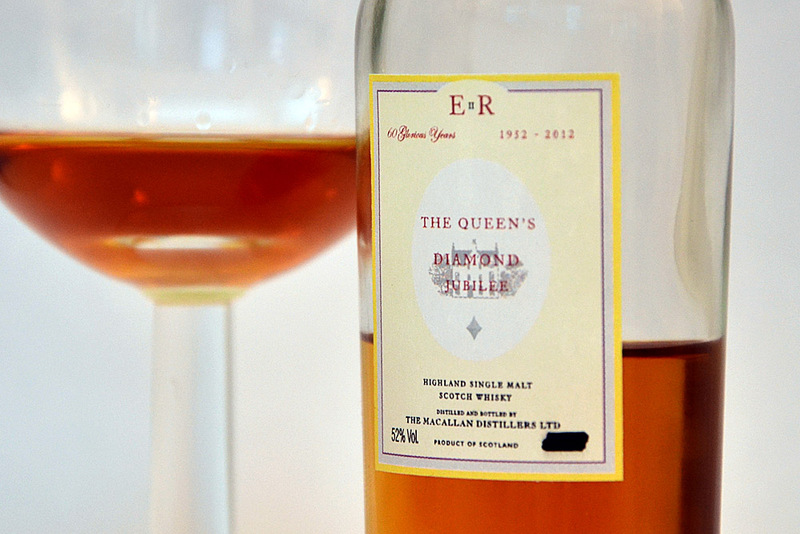 The Macallan Diamond Jubilee Whisky. I am told this whisky is made up from several casks from the 1990s, the earliest being 1991 and the oldest apparently is not 1999, so 14+ it must be then. With only 2012 bottles available, this won’t last long on the primary market. Dark golden – mid caramel. A light toffee note comes just before the alcohol kicks in. Then dried fruits of apricots and plums, a little heather and caramel. Smooth at first with apricots and honey. The 52% gives a warming heat which is not overpowering and ideal for the style and richness of the whisky, nether too powerful or too light. 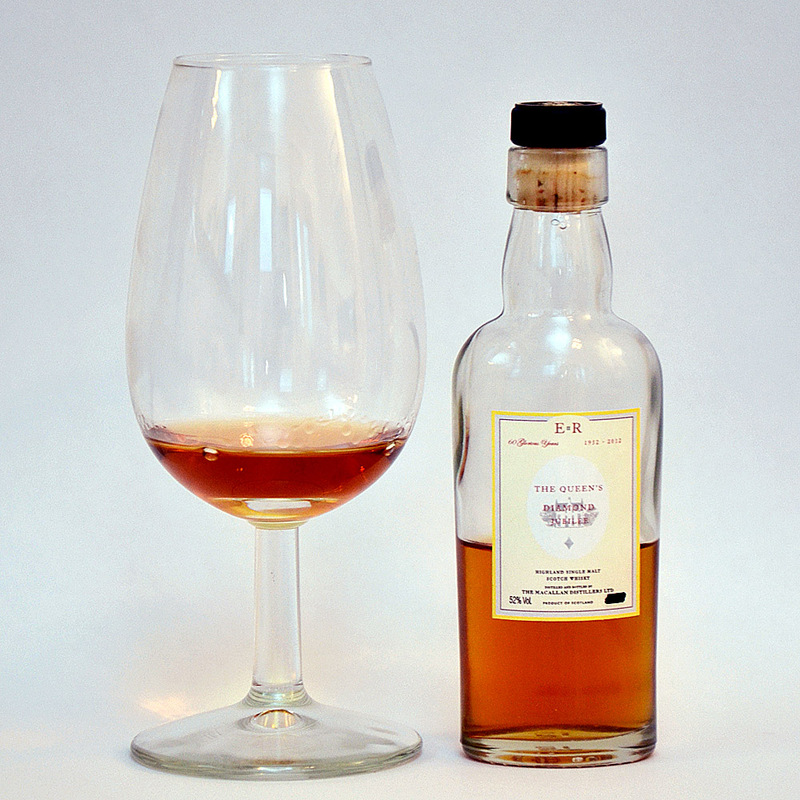 After the warmth subsides a little marzipan laps over the already prevalent sherry flavours and a touch of orange peel. There comes a small amount of sweetness of flowers and smoke. A long finish with waves of rich sherry and higher floral notes interweaving with each other and with wisps of smoke. Overall a wonderfully complex whisky and very moreish. Whisky of which (unfortunately) very little will actually touch the lips of mere mortals. 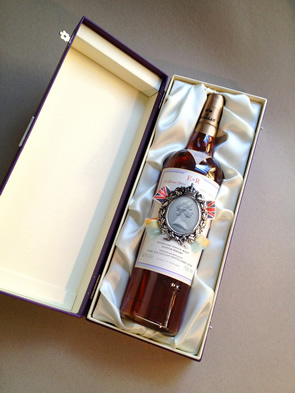 I suspect there will be more bottles placed neatly on a shelf than ever will be opened except by those who can easily afford the current £350 ticket and probably quite a bit more, once this sells out and hits the secondary market. My advice: If you can’t afford simply to buy and drink one, buy two. Drink one and in a while sell the other to pay for the first. Or raid the piggy bank. I think as many people as possible should have the chance to drink this great dram.